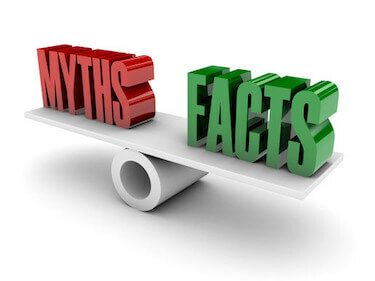 There have been many myths circulating about engineered floors, making it a misunderstood flooring option. And if you believe any of these, it may be holding you back from using this in your home. Read on to change your mind about this practical flooring choice. Engineered wood is not the same as laminate. Laminate floors are made of compressed mdf backing with a wood picture laminated to the face of the plank. Engineered flooring is comprised entirely out of real wood. The face layer is actual hardwood in a variety of different thicknesses, depending on the product you select. It is attached to various plys of hardwood backing. When engineered wood is installed, there is no telling which is a hardwood floor and which is engineered. Both can be installed prefinished or unfinished. Both can be sanded and refinished several times. Because an engineered wood floor can be sanded and refinished several times just like its real hardwood counterpart, the life spans of the two are virtually equal. With proper maintenance, your engineered flooring can last a lifetime. Why should you select engineered flooring over hardwood? Because engineered wood is created using multiple layers of wood, it settles against itself as temperatures and environment changes. There is less chance of board movement between rows, and less chance of cupping in wider plank floors. Engineered wood can be installed below grade applications such as in basements, which makes it a viable alternative to Colorado homes. It can be floated over concrete floors, and can be floated over subfloors that have a layer of particle board installed over them. Since it can be floated or glued, it is beneficial when you wish to decrease sound transfer to rooms below. The easiest way to see the quality of engineered wood is to stop by and see the product for yourself. As with anything, there are varying degrees of quality based on manufacturer. Focus you attention on the surface thickness, the overall thickness of the planks, how many plies there are, what the plies are made of, the length of the planks, and how best to install. You should also look for a good warranty, as that will indicate how well the manufacturer trusts its own product.